Song of The North - Good start for polish music. One of the most important ideas of the activity of 441 Hz Chamber Choir is performing and promoting contemporary choral music. On a daily basis, the ensemble, under the direction of Anna Wilczewska, carries out a busy concert activity, performing mainly contemporary music repertoire. 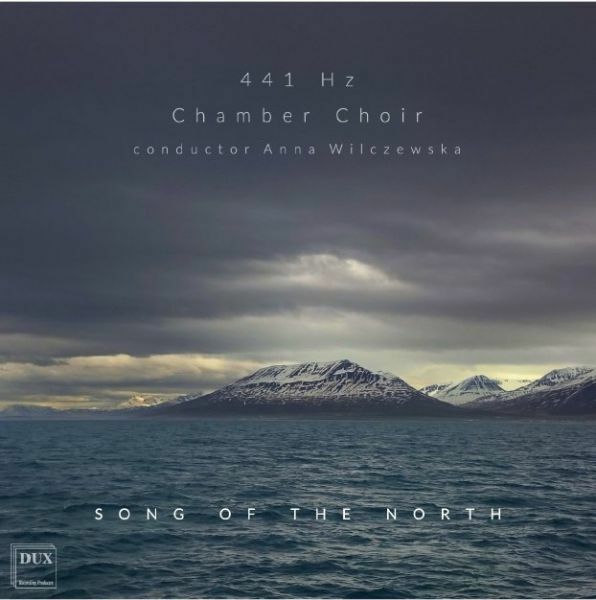 This album is a presentation of contemporary choral music originating from countries of the North, mainly from Scandinavia. The diversity of creative inspiration, free references to the folklore, customs and savage northern nature, originality of the compositional techniques... All this contributes to a broad musical panorama constructed from the works of eleven composers, which, despite this fact, constitutes a coherent, homogeneous whole.